Whether you are planning to purchase real estate as a long-term investment, or develop real estate for a more immediate profit, every step involved in the acquisition and/or development of real estate is important. Navigating the purchase process can be challenging, even if you are not a novice. Specifically, the legal aspects of purchasing and developing real estate can be difficult to understand given the local, state, and federal laws and regulations that may apply to the sale or project. Having an experienced Real Estate Acquisition and Development attorney on your side is the best way to ensure that you understand those laws and regulations and that you do not make costly mistakes along the way. At every step along the path to purchasing real estate, there are legal issues that could present obstacles to acquiring the property. Having an experienced Real Estate Acquisitions attorney on your side throughout the process ensures that your best interests are protected and dramatically increases the likelihood of a successful purchase. Building, developing, or improving real property usually involves a significant commitment, both in terms of time and money. The myriad local, state, and federal laws and regulations relating to land use, zoning, and development must all be factored into a project. Often, one of the biggest challenges is keeping the project running smoothly and on time. Failing to plan carefully and anticipate all potential legal issues that could arise could result in the project coming to a halt, causing your profit margin to shrink. The key to keeping your project on track and maximizing profits is to retain the services of a Real Estate Development attorney to ensure you are in compliance with all applicable laws and regulations and to help resolve any legal disputes that may arise during the course of the development project. 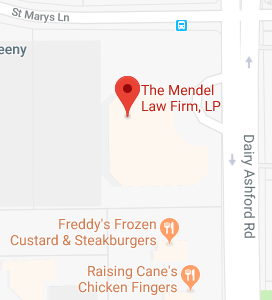 If you are considering the purchase and/or development of real estate, then you should consider consulting with the Real Estate Acquisition and Development attorneys at The Mendel Law Firm, L.P. Contact the team today by calling 281-759-3213 or fill out our online contact form.